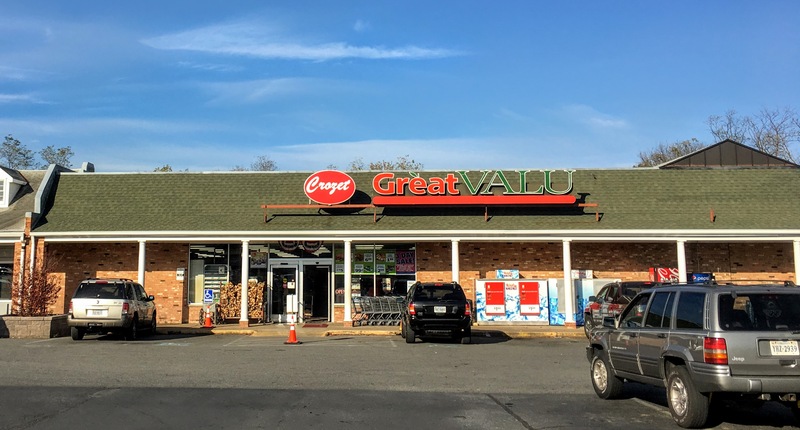 Crozet Market LLC, comprised of the owners of the Crozet Shopping Center and Raphael Strumlauf, owner of the Market Street Market in downtown Charlottesville, purchased the Great Valu from Red Front Stores, Inc. and the Wagner family. General Manager Jean Wagner is retiring at the end of the year, according to a press release. The new team is taking over operations of the store immediately, but Wagner will be working alongside them until the end of the year, according to the release. The store will continue to operate under the Great Valu name. He’s already decided some changes on for the Great Valu. “We’re going to add a deli and a bakery and do more with produce. We’ll try fresh seafood and see if people are receptive. We’ll expand the organic section. To me this is a lot of space.” The Great Valu has 14,000 square feet total with 10,000 sq/ft in the selling area and the remainder in storerooms and work areas. “What makes a store nice is customer service,” Strumlauf said. “Really knowing the customer. Nobody knows better what direction a store should go than the customers. I’m going to be spending a whole lot of time here through the holidays. I can’t tell you how excited I am about this. I don’t want to take away a single thing the store has. I want to remerchandise some things.” He gave as an example the possibility of moving some drink machines. “I don’t want to take a great store and get arrogant about changing things. I want the first thing people see when they walk in to be something fresh. It sets the whole tone for the store. That’s the direction. I want it to be a really nice place to shop. I want the people in Ivy to come here. I’m so sad to see Jean leave, but understand she’s ready for a well-deserved retirement! I have faithfully shopped at GreatValu for almost 20 years, and feel at home in this small, family-owned store. Please don’t tell me next that Pete is leaving. For years, I’ve seen him in his big blue truck heading towards the nearby farms/orchards to pick up fresh apples or corn for the store. One time a few years ago, Pete saw me with corn in my cart and he insisted I put it back on the shelf because he had some better, fresher corn in the back that he had just gotten from the farm. THAT does NOT happen at a big box store. GreatValu has been selling “local” long before it became cool to do so. I sincerely hope the store does not change, but I’m probably naive to think that it won’t. Right there with you Miette. The ultimate in fresh, local produce at local prices is the biggest reason I shop at Great Valu. That and the great service – who carries bags to your car for you anymore?? I want to keep my real local grocery store.